Rare Natural Cavansite on Stilbite on Matrix. The approx. meausrements of this beautiful specimen are 1.167 kilograms and measures 13cm (wide) x 12cm (height). 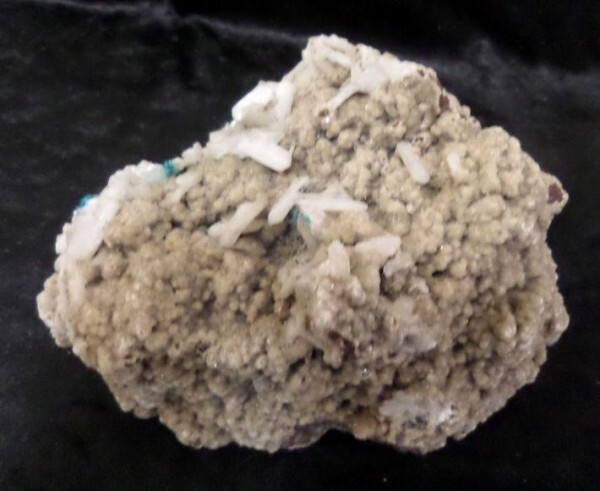 Cavansite has the ability to open up a person to their higher being and to awaken and embrace their higher self. It aids in helping one take ownership and responsibility to their life's purposes and to ensure their journey is on track. 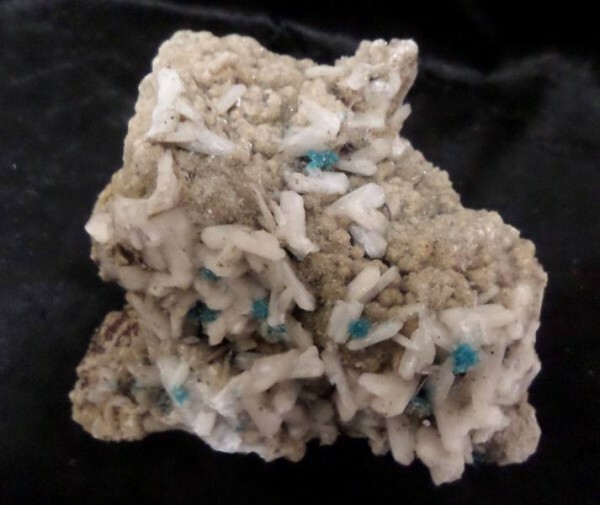 Cavansite helps to give you an understanding of past lives helping one to learn lessons from them and to give one the appreciatoin of the present life. Stilbite has a soft, gentle and loving energy. It helps to open the heart chakra bringing the vibration of love into ones self thereby instilling a sense of inner calm, peace and healing. Stilbite cleanses the third eye and crown chakras so that one can become more mentally focused and able to concentrate and organize ones thoughts. If used in meditation it helps to expands ones consciousness mind to a higher dimension.